We offer a full service optical shop with an array of selection of designer frames and sunglasses. Our office prides ourselves in providing highly fashionable frames from reputable designers for our patients. We have more than 1000 frames to choose from in house. Lindberg, Swiss Flex, ic! berlin, SALT , NW 77TH(New), Monoqool, Jimmy Choo, Coach, Versace, Gucci, Bevel, Todd Rogers, Cole Haan, Ellen Tracy, Legre, Bebe, BCBG Maxazria, Liz Claiborne, Kerf, 141, Dolabany, Turaflex, Banana Republic, Emporio Armani, Giorgio Armani, Revlon, Oakley, Ray-Ban, Smith Optics, Tommy Bahama, Joesph Abboud, Op, IZOD, Jessica McClintock, Carrera, Ted Baker, JOE, and more. We offer single vision eyeglass packages starting at $119. complete! We do change our selections regularly so please visit our beautiful optical boutique for the lastest trends and styles. At Advanced Eyecare Specialists, we pride ourselves in offering the most recent advances in eyeglass lenses. Our trained Opticians have extensive knowledge in the various lens designs, materials, and treatments. Our optical team analyzes each patient's prescription and lifestyle needs to better recommend the ideal lens package. Since we are independently owned and operated, we are able to order and dispense lenses from most lens manufacturers. Many of our specialty lens materials and designs are not available at other optical outlets. While single vision lens comprise the largest percentage of lenses sold, there are many options available within this group. Advanced Eyecare Specialists offers numerous materials and treatments including premium anti-reflective coatings, ultra violet protection, photochromatic lenses, and polarized sun lenses. Our Opticians have extensive knowledge in all the thin lens options available today. We have a solution for your old "coke bottle" lenses from the past, we love a challenge! Advanced Eyecare Specialists specializes in progressive lens fittings for patients that require correction for distance, intermediate and near vision. We do not employ a "cookie cutter" approach to our progressive lenses; one lens design does not work for every patient. We offer traditional progressive lenses as well as lenses specifically designed for computer use. 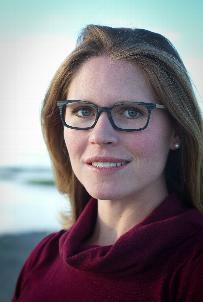 Now progressive lenses can be fit in even the more narrow contemporary style frames. Patients no longer have to sacrifice style for good vision; you can have both! We offer the newest Digital progressives from Essilor: Varilux S-series, Definity, Physio, Comfort, and even more customized progressives from Hoya. 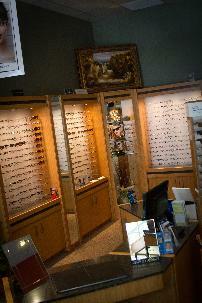 Advanced Eyecare Specialists offers many choices in sun wear. We have an extensive selection of sunglasses in stock and most are available to fill with your prescription. Our Opticians have relationships with lens labs that can fabricate your prescription in wrapped sunglasses frames. This new technology customizes your prescription to the specific sunglass you choose. This custom service is not offered at many optical stores. 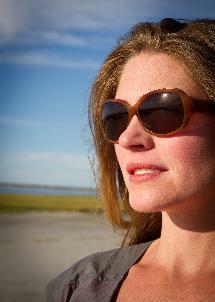 We recommend polarized sun lenses to all our patients. Polarized lenses go beyond UV protection and offer the wear greater relief from distracting reflected glare from flat surfaces. Polarized lenses are available in many colors in both single vision and progressive lens designs. Over 95% of our patients enjoy lens packages that include an anti-reflective coating. To increase light transmission through the lens, these specialty coatings are applied to the front and back surface of the lens. Less reflected light means better vision for the wearer. Anti-reflective coatings are available on all lens designs including single vision, progressive and sun lenses. Our anti-reflective coatings are very durable and easier to clean than many available in the market place. We recommend Crizal coatings for the best results.